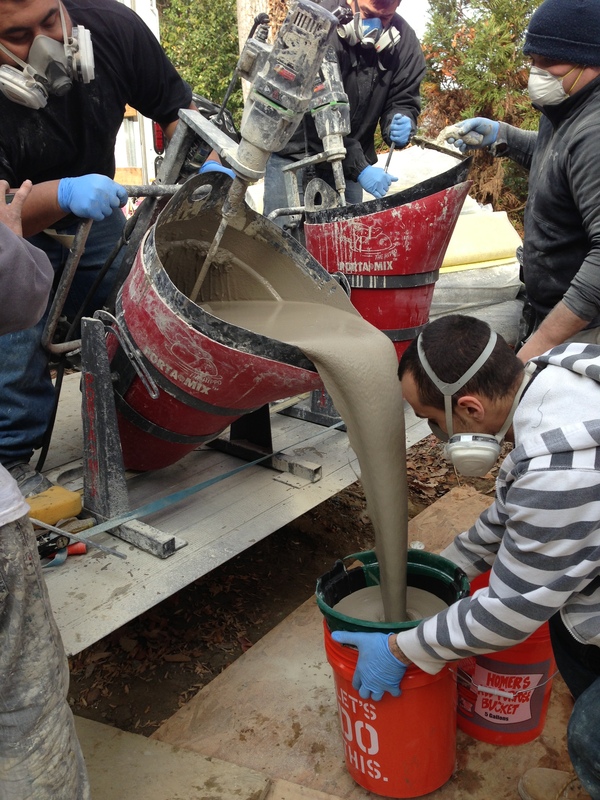 The decorative concrete industry is constantly innovating and pushing out new, creative designs, for both residential and commercial flooring. 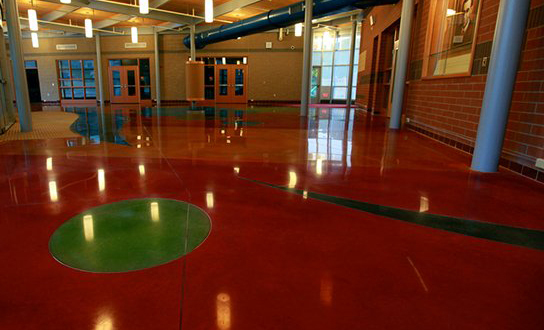 A colorful, patterned concrete surface not only creates a lasting impression, but it can set the tone in a space. 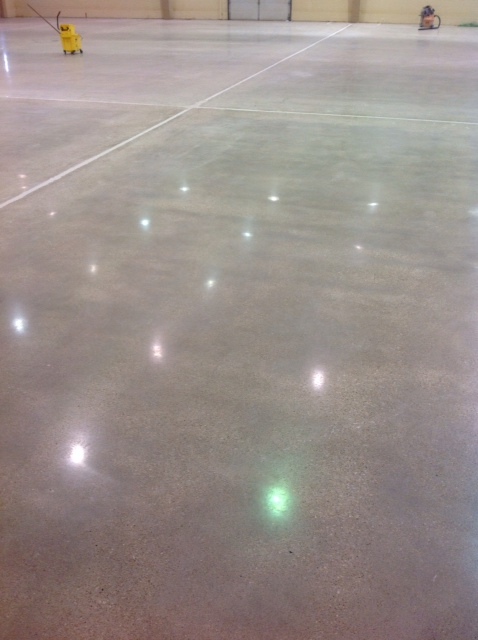 This is the case for a recent job completed by Elegant Concrete Polishing in an elementary school in Connecticut. The bright colors and swirling shapes and curves evoke an energetic vibe throughout, as you can see in the images below. 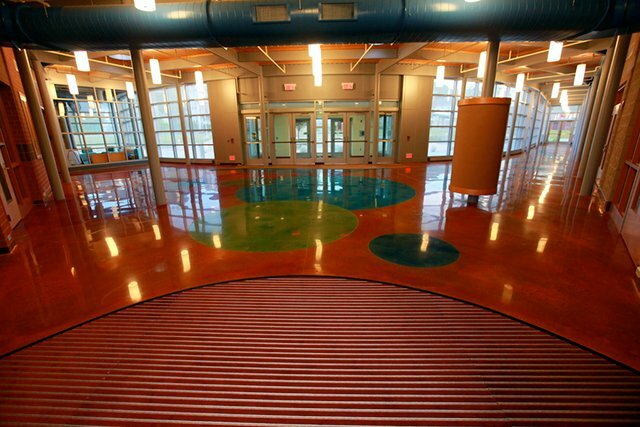 The pictures above are of the 17,000 square foot elementary school. 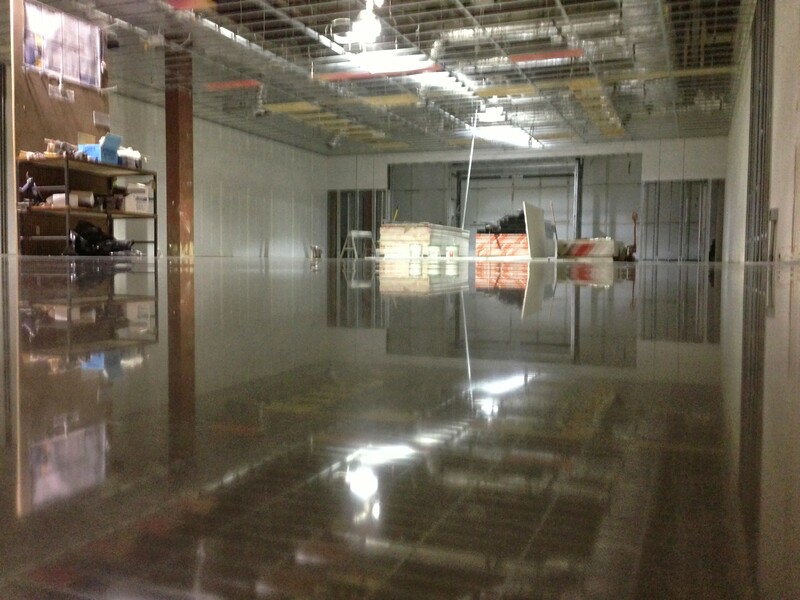 The Elegant Concrete crew installed the polished concrete flooring using the AmeriPolish SureLock System. 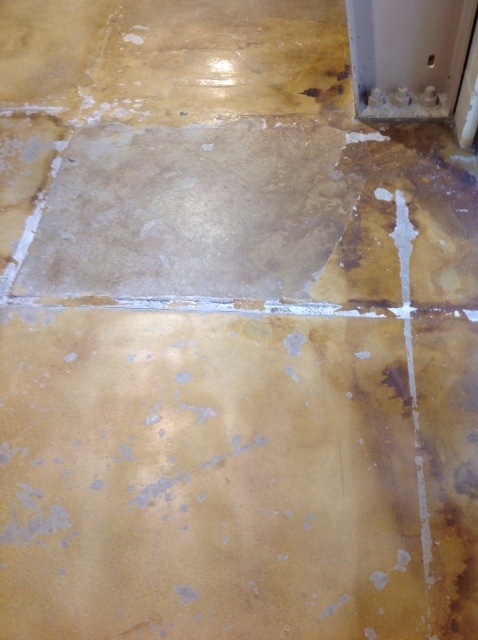 The slab was ground and polished from a 40 grit metal all the way up to a 1500 grit resin. 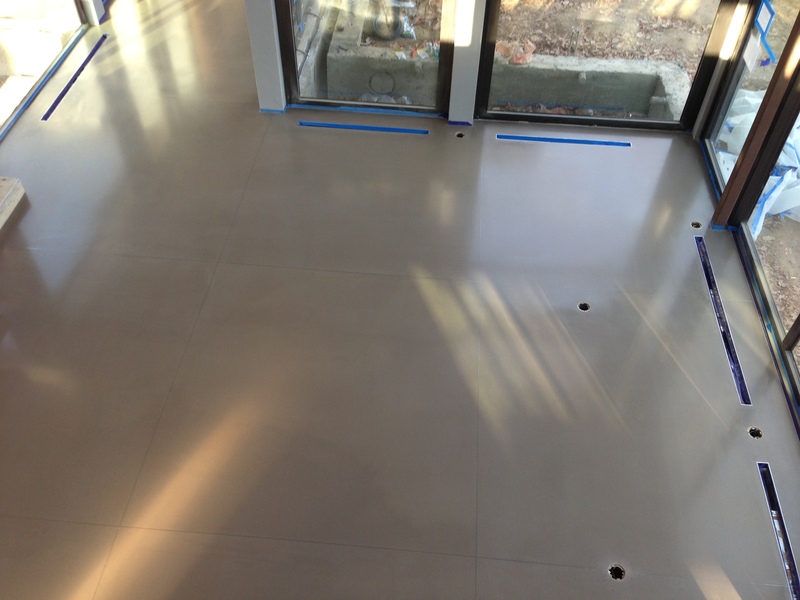 The decorative flooring design was installed per the architectural layout, established with another firm that Elegant has built a solid relationship with. In order to accomplish such a colorful finished product, Elegant used 6 different colors from AmeriPolish in the initial overlay stage. 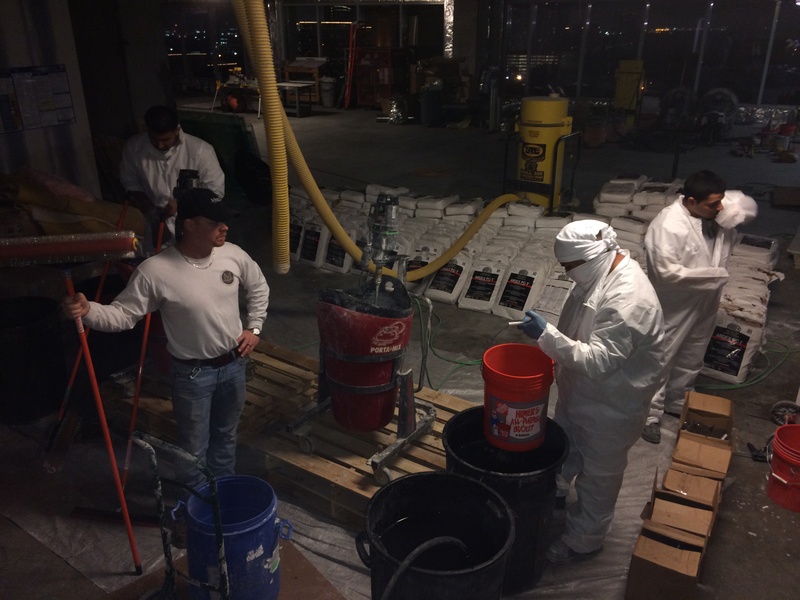 Colors include: Patriot Blue, Turquoise, Forest Green, Green, Burnt Sienna and Sepia. 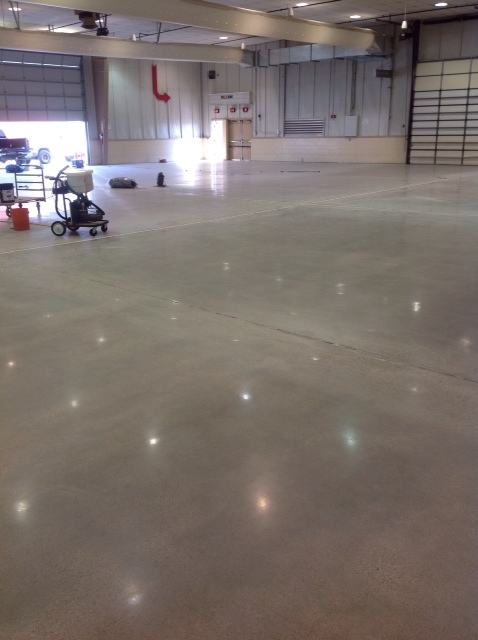 After polishing the floors completely, Elegant protected them with SureLock Densifier and sealed them with SureLock Stain Shield. 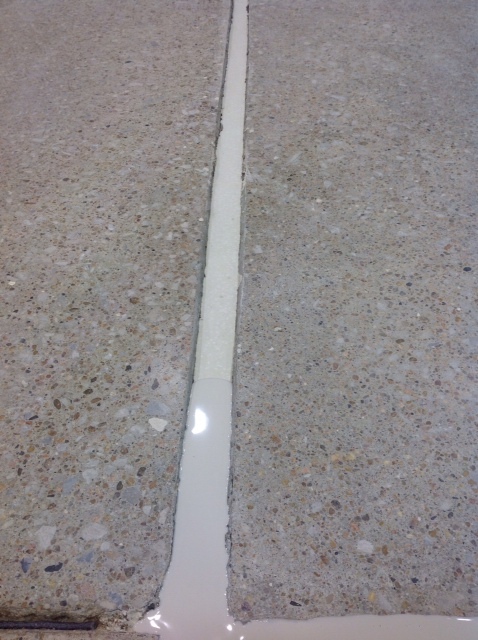 In another project Elegant completed recently, the crew installed CTS RapidSet TRU self-leveling overlay and then used a zinc terrazzo bar around the perimeter to act as a divider for the border. 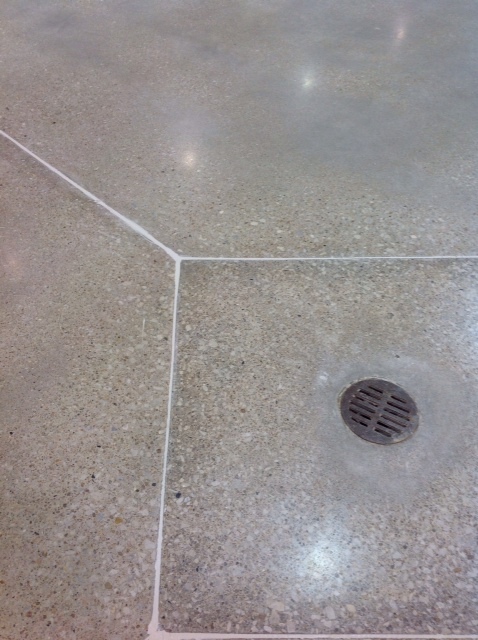 Elegant ground and polished the TRU after it was entirely laid and set. 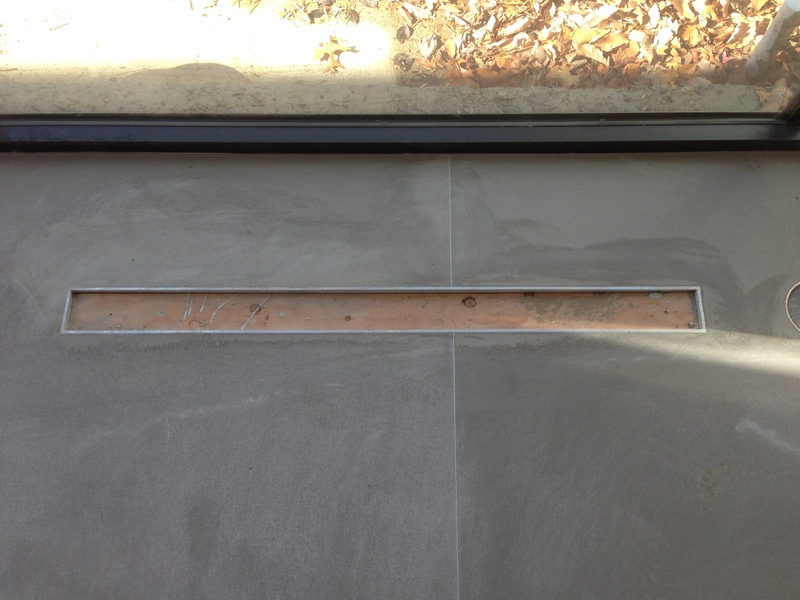 Then finally, the crew dyed the perimeter band with AmeriPolish OS Dye in Terra Cotta to give it a two-tone effect and clearly establish the border from the main center area. 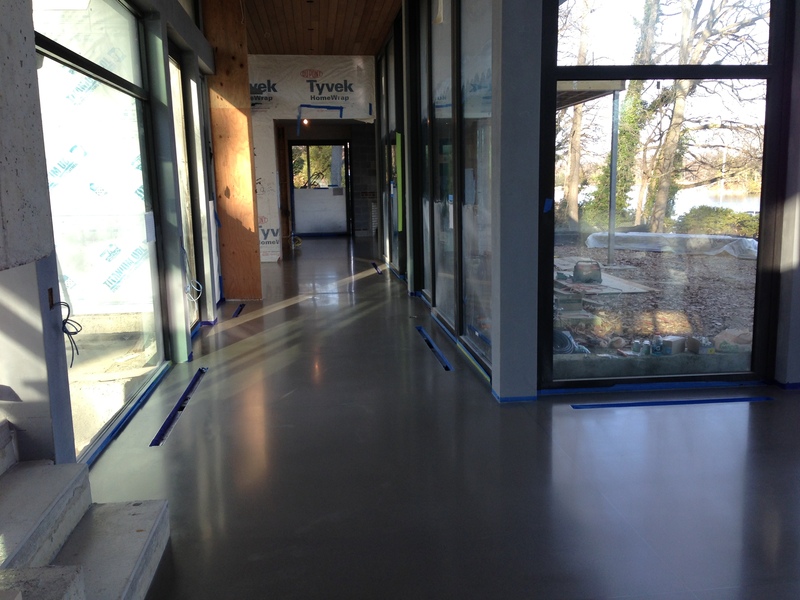 In the picture to the right you can see how crisp and polished (so-to-say) the terrazzo strips are in conjunction with the polished concrete. 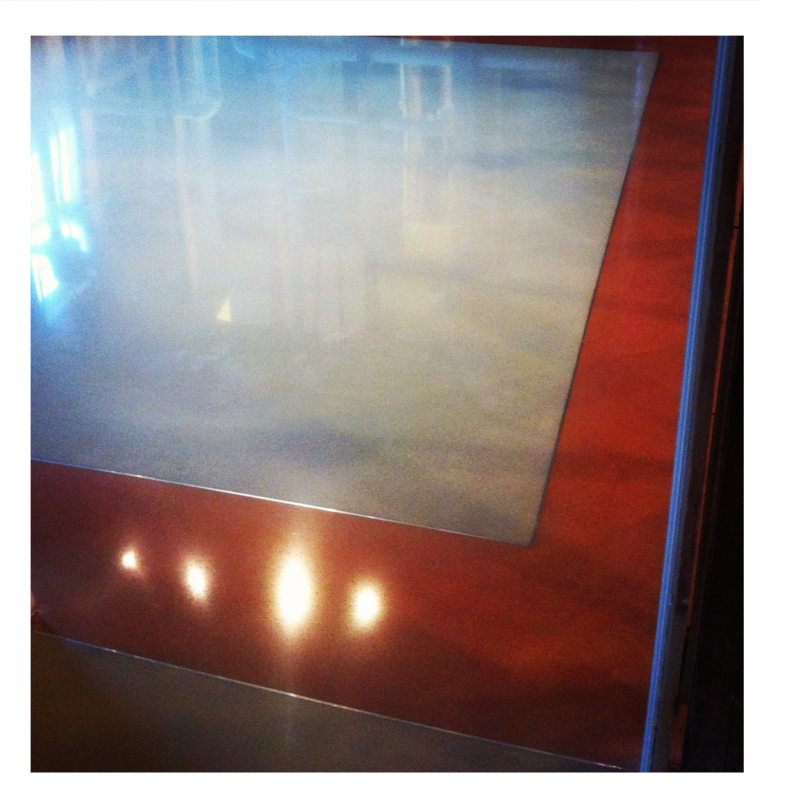 Although a slightly more expensive material to use on a slab, the result is unparalleled. 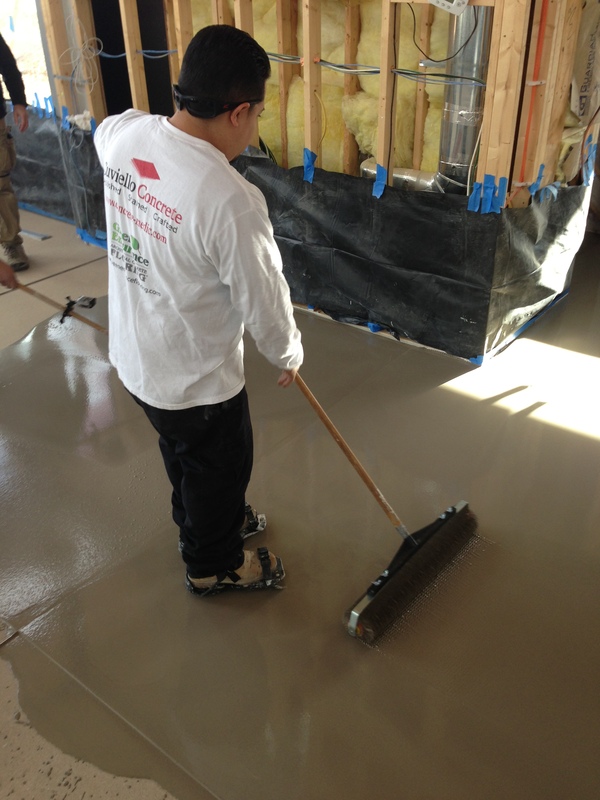 Elegant Polishing, Inc. is located in New Haven, Connecticut, and area known for its sustainable flooring solutions. 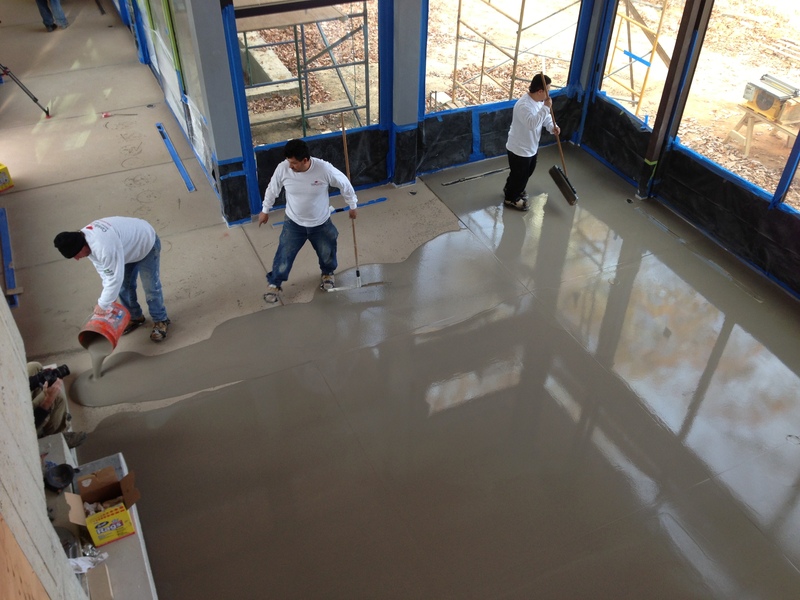 Over the years, floor finishing and restoration has evolved to a more durable and environmentally friendly solution. 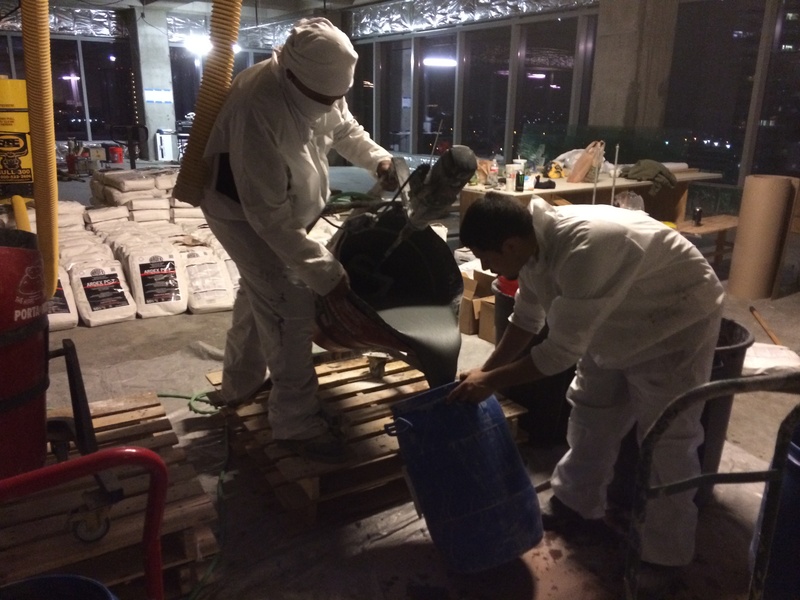 Every year, hundreds of products are introduced into the residential and commercial, industrial market. 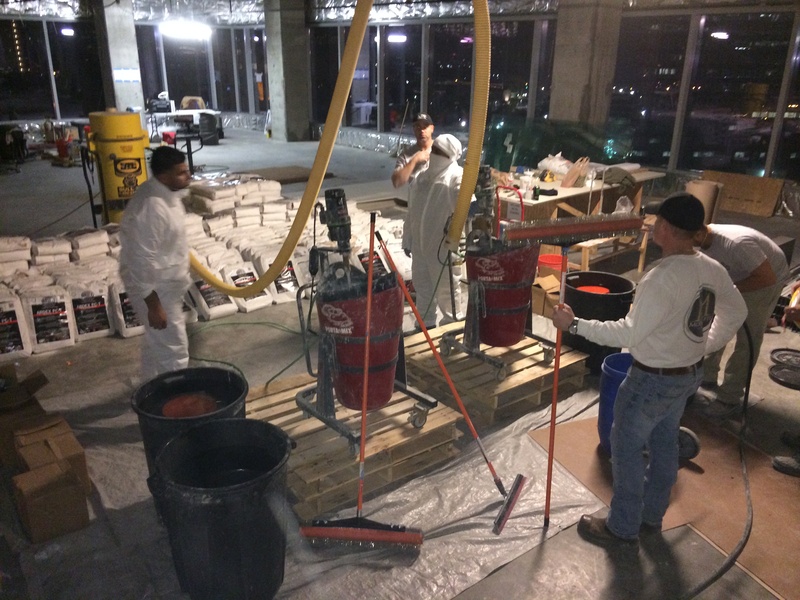 Elegant Polishing’s goal is to listen to your specific needs and come to the best solution for your project. 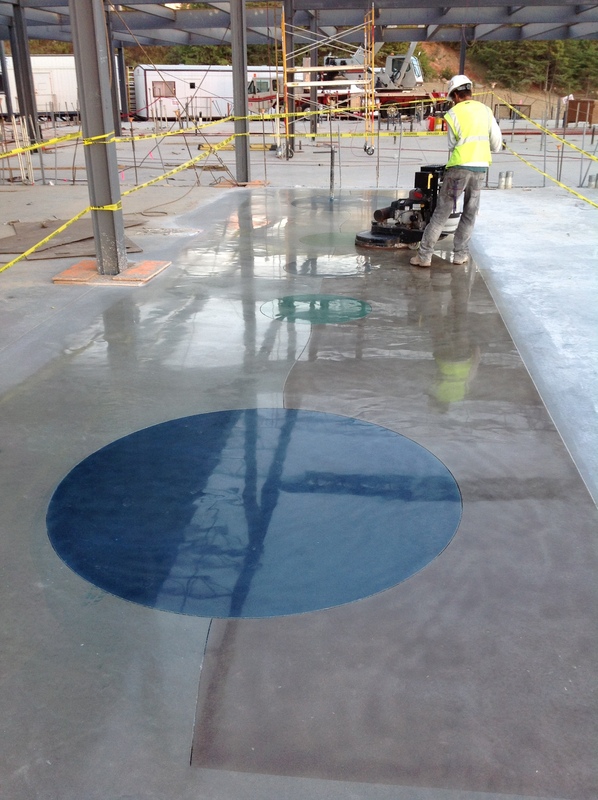 More and more, retail stores are realizing the benefit of customized concrete floors, via special designs and stencils, in addition to simply maintaining a polished finish throughout. 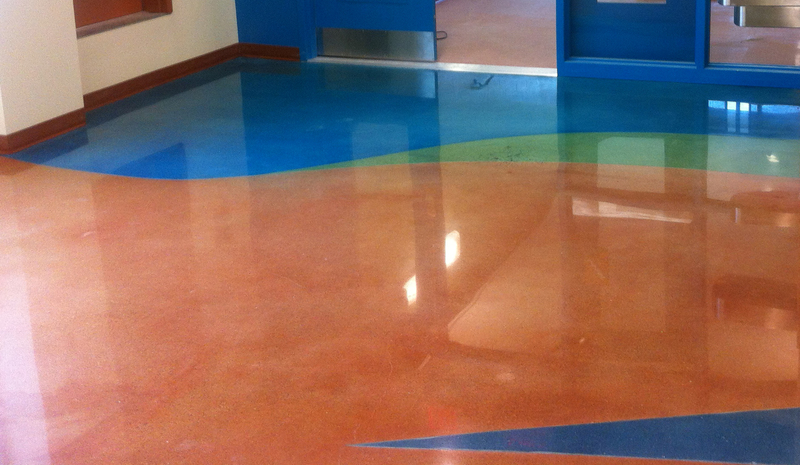 Creating a personalized space not only distinguishes the location, but it strengthens the brand and can help create a welcome and engaging environment. 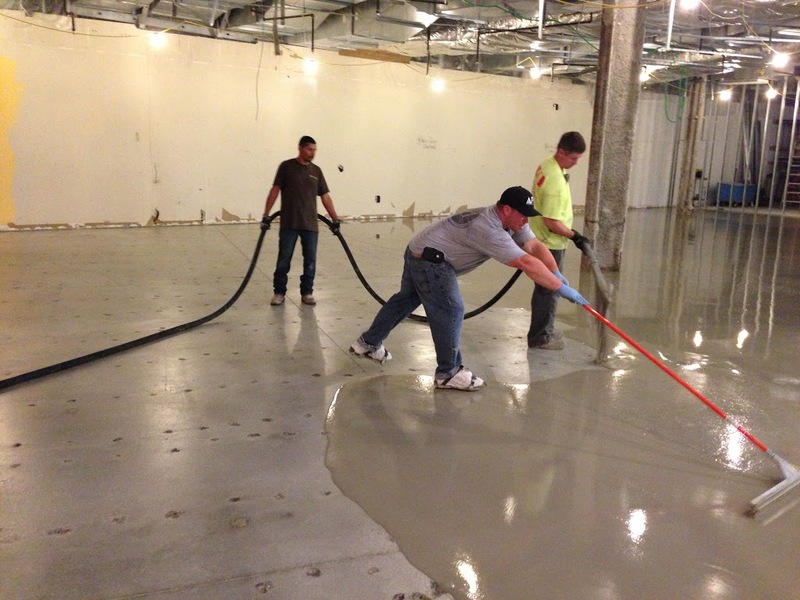 Adapting to this decorative concrete trend is a measure of success for Kent Companies, who did such a job at the Cabela’s store in Grandville, MI. The 88,000-square-foot store is Cabela’s 43rd retail location across the United States and Canada. It includes thousands of quality outdoor products, as well as a mountain replica, wildlife displays, an aquarium, a boat shop, an indoor archery range, a gun library, a bargain cave, a deli and a fudge shop. 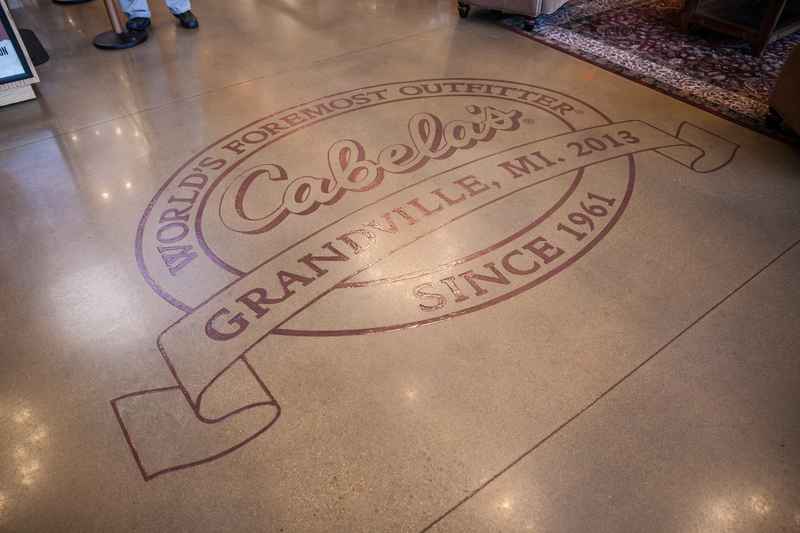 The Cabela’s logo, as seen in the top-most picture, measures 120” x 71.9.” This logo stencil provides a bold statement, reinforcing store branding as guests enter the retail location. 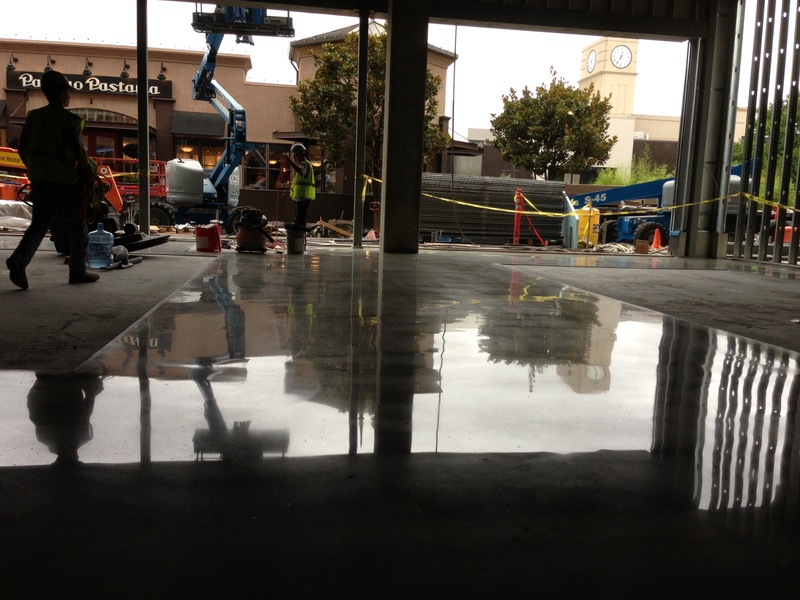 In regards to the other pictures, polished concrete throughout stands up to heavy retail traffic and offers store operations and management many maintenance benefits. 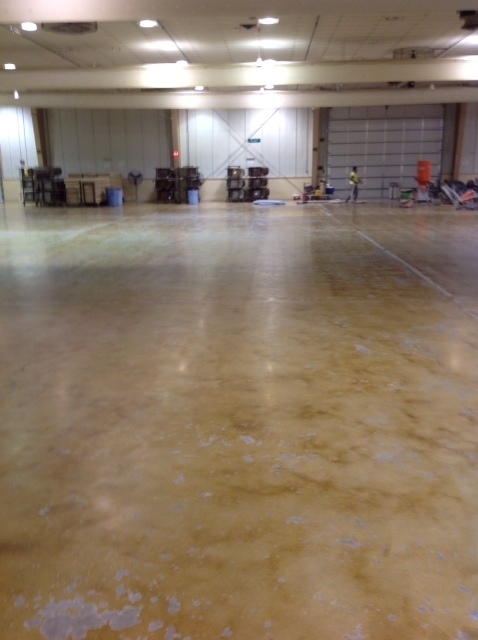 In order for the floors at Cabela’s to remain so pristine, especially with such high foot traffic, the retail location must have a maintenance plan in place. 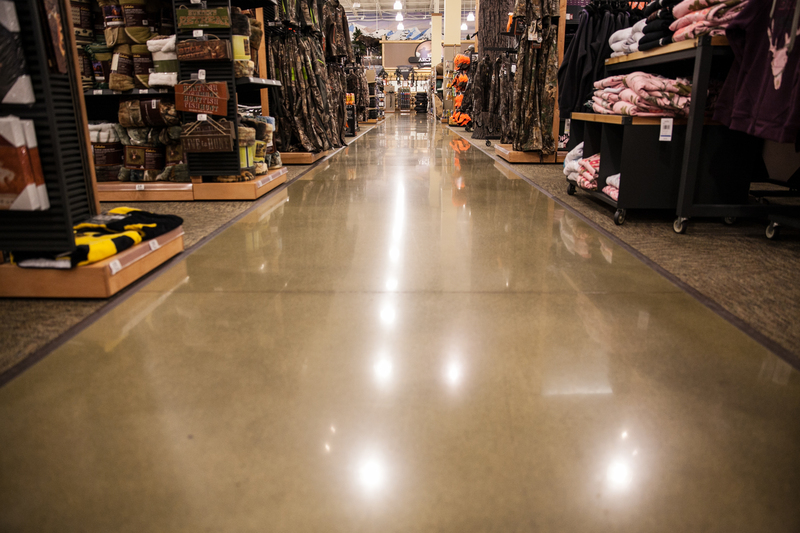 With a little guidance from Kent Companies in terms of which products to use, how often to apply them, etc., and proper execution, the floors in Cabela’s should continue impressing customers for years to come. 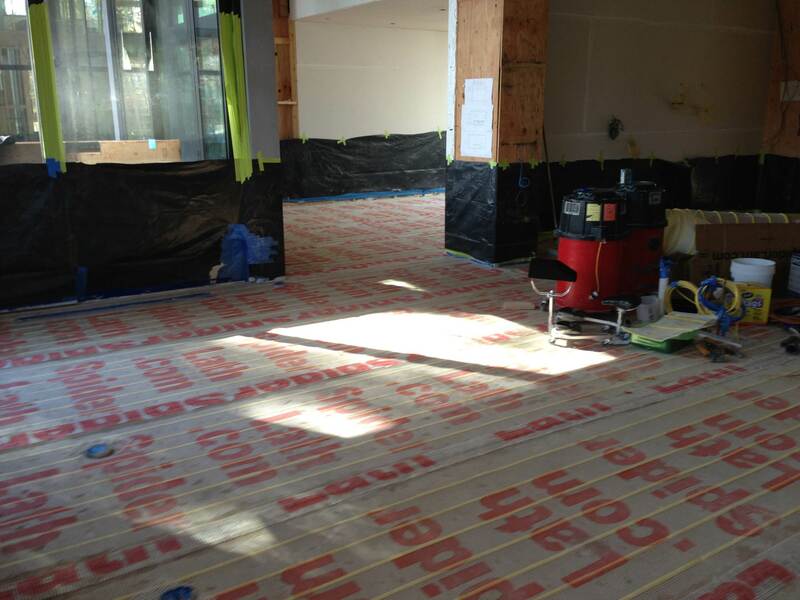 For more feature stories about Kent Companies, see our customer highlights page. 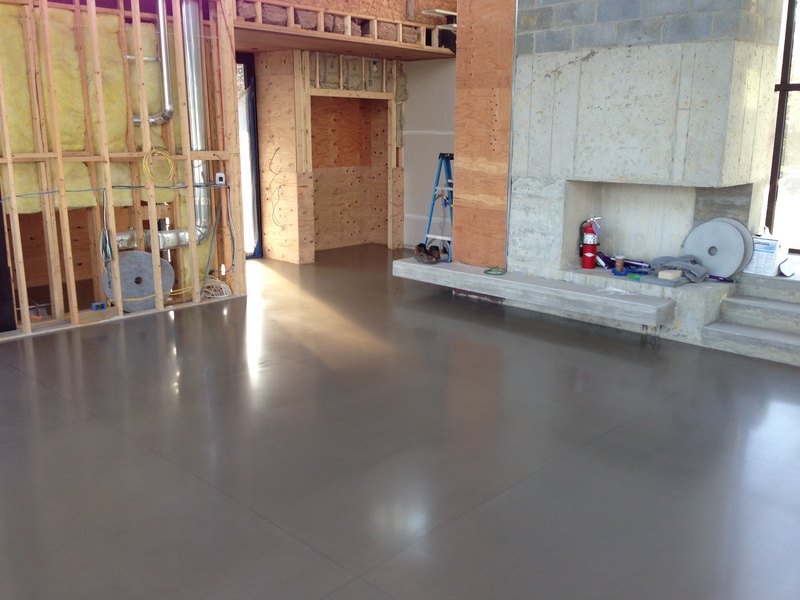 If you have in-depth questions about the above process, products or how to maintain your floors, please contact us or write us a comment below!